Kona: "Mommy. If you want ice cubes, please be in line. 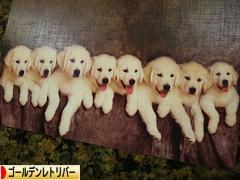 Kahlua is No.1, I'm No.2, Ehime is No.3 so you are going to be No.4." Mommy: "Umm... I'm actually waiting for ice coffee that your daddy is going to make, not so much for ice cubes." 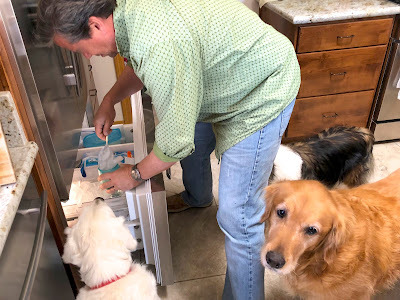 For daddy who gets busy when it comes to ice cubes, please click the puppy photo on the right above or a dog picture below to vote for a doggie blog ranking. Thank you!